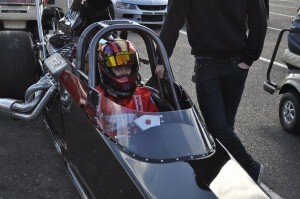 Elyse Climes of North Plainfield, New Jersey, spent several years competing in the JR Dragster ranks before making her way to Frank Hawley’s Drag Racing School in search of gaining the driving experience to take the next step. Elyse earned her NHRA Super Comp (4A – 7.50 and up) license during the school’s 2011 stop at Maple Grove Raceway in Reading, Pennsylvania. 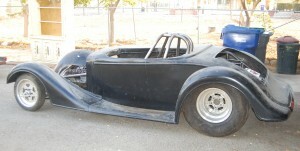 Her parents acquired a 2000 Racetech dragster for her last November that is equipped with a 555ci BBC and alcohol injection. 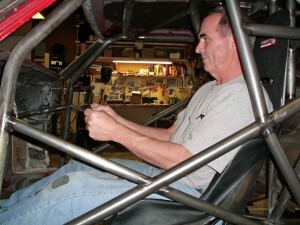 “I am enrolled in super class points at Raceway Park in Englishtown for 2012 and I can’t wait to get started,” she said. 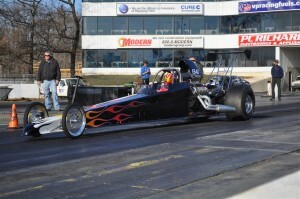 “We already had my car out late last year and were able to make some passes on it the last day the track was open in December.” After attending Frank Hawley’s Drag Racing School Reaction Time Clinic at Royal Purple Raceway in Houston, Texas, Jenifer and Jeff White had their best season yet during 2011. 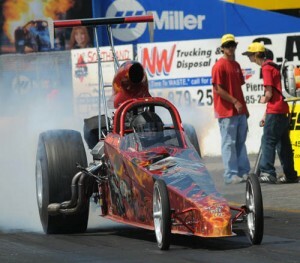 Jenifer went to an IHRA Nitro Jam National final, won the Bristol NHRA National event, becoming the first women to win Top Dragster at an NHRA National Event and the duo from Conroe, Texas finished in the top ten in the NHRA Division 4 Top Dragster standings. “Jenifer gained a lot of confidence in 2011, and received a lot of reinforcement taking the Reaction Time Clinic,” said husband and crew chief Jeff White. 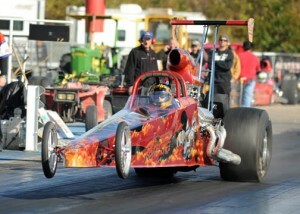 “We are going to run almost all of the NHRA Division 4 divisional races in TD. We are also going to run the NHRA Division 3 races National Trail and Mid-Michigan in July and we’ll likely run two NHRA national events.” Prior to attending one of Frank Hawley’s Drag Racing School classes in Las Vegas, California resident Mike Spencer spent many years racing his twelve second Chevy Malibu wagon, but was ready to make the move to NHRA Super Gas and looked to the experience of Frank Hawley to improve his driving skills prior to completing his new car.